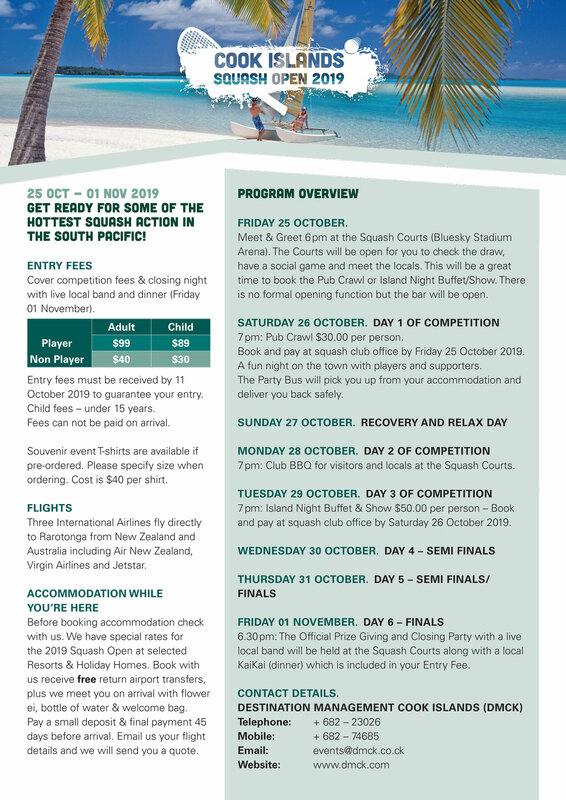 The Cook Islands Squash Open is a big event every year with visitors from the Pacific, NZ and Australia coming along to join in the excitement. 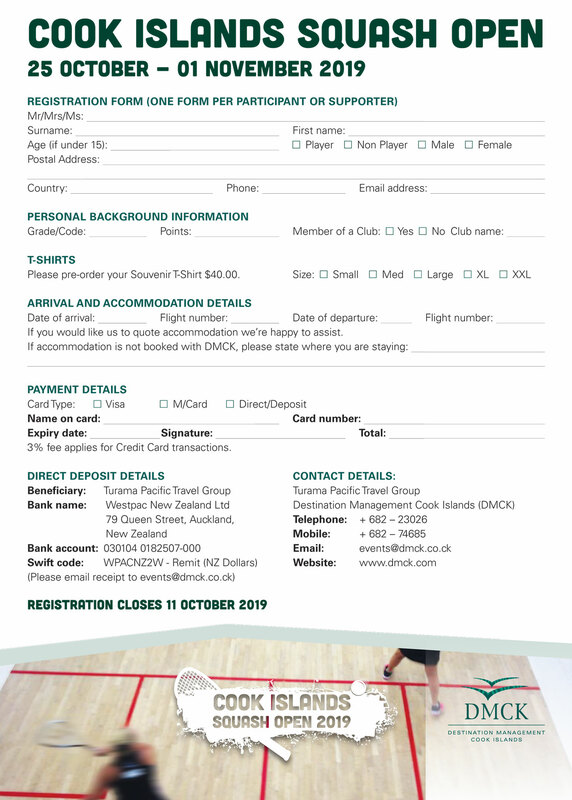 This year we expect one of the largest entries for the tournament and we encourage everyone to register early, especially our visitors wanting to take advantage of our special packages. Explore.com is 100% Cook Islands owned and operated and focuses on Accommodation options from Hotels to BnBs throughout the Pacific Region, NZ and Australia. CODE: SAVE50 for $500+ and SAVE100 for $1000+ bookings. Our major sponsor Island Car & Bike Hire offer a wide range of scooters and vehicles to pick from.